A song on Madonna's upcoming album dedicated to a Kabbalist rabbi is drawing criticism from other rabbis, the Israeli Maariv daily reported Sunday. The album, "Confessions on a Dance Floor," is to be released on Nov. 15 and features a track entitled "Isaac" about Yitzhak Luria, a 16th century Jewish mystic and Kabbalah scholar. Rabbis who oversee Luria's tomb and a seminary in the northern town of Safed are unimpressed with Madonna's musical tribute and see the inclusion of the song about Luria on the album as an attempt by the pop star to profit from his name. "Jewish law forbids the use of the name of the holy rabbi for profit. Her act is just simply unacceptable and I can only sympathize for her because of the punishment that she is going to receive from the heavens," Cohen told the newspaper. 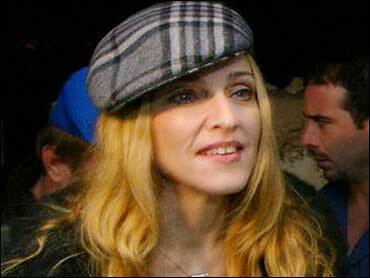 Another rabbi called for Madonna to be thrown out of the community. "Such a woman brings great sin on kabbalah," Rabbi Israel Deri told Maariv. "I hope that we will have the strength to prevent her from bringing sin upon the holiness of the rabbi (Yitzhak Luria)." Madonna spokeswoman Liz Rosenberg didn't immediately return a phone call seeking comment Sunday. The singer and actress was raised a Roman Catholic but has become a follower of Kabbalah in recent years and adopted the Hebrew name Esther. She made a much publicized visit to Israel in 2004, when she visited many sites important to Kabbalah, but didn't travel to Luria's grave.